As part of Jr. WNBA week, on May 12th the Minnesota Lynx hosted 40 girls from the Richfield Girls Basketball Association for a Jr. WNBA Clinic. On May 7th The Lynx traveled to Rochester to host an All Team Jr. WNBA Clinic at the Mayo Civic Center. 50 Rochester area elementary and middle school students came in to learn basketball skills and participate in drills with the entire Minnesota Lynx team. 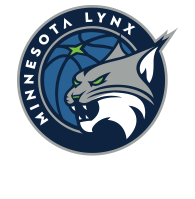 The clinic ran by the Lynx Basketball Academy program strives to teach the fundamentals of basketball to all age ranges and skill levels while offering students a once in a lifetime experience of working alongside their favorite Lynx players. 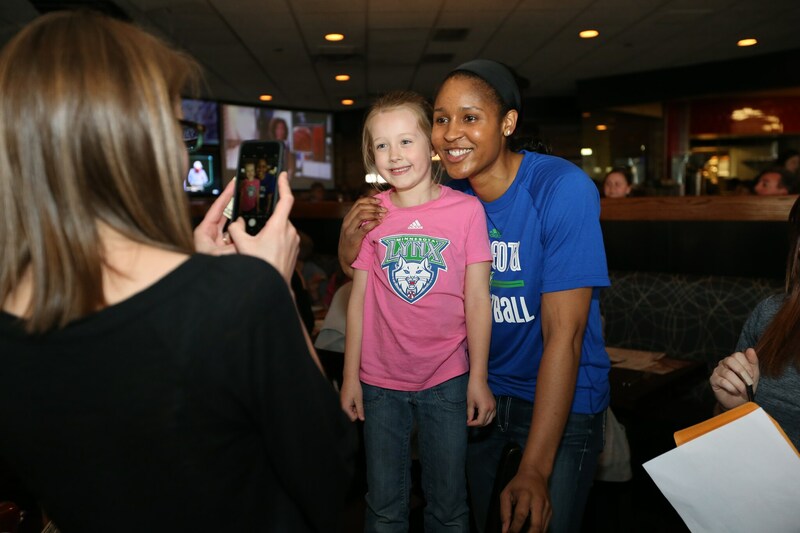 The Lynx hosted their 4th annual Tip-A-Lynx event presented by at Champps in Minnetonka. The entire Lynx team and coaching staff waited on fans’ tables and poured their drinks in order to raise money for the Minnesota Lynx FastBreak Foundation. Proceeds from food, beverages, tips and auction items helped support the Minnesota Lynx FastBreak Foundation, which provides and supports hands on programs for Minnesota youth. The players competed against each other to earn the most tips by signing autographs, taking pictures and waiting on fans. Fans also had the chance to bid on unique sports memorabilia at a silent auction and one of a kind experiences during the live auction. 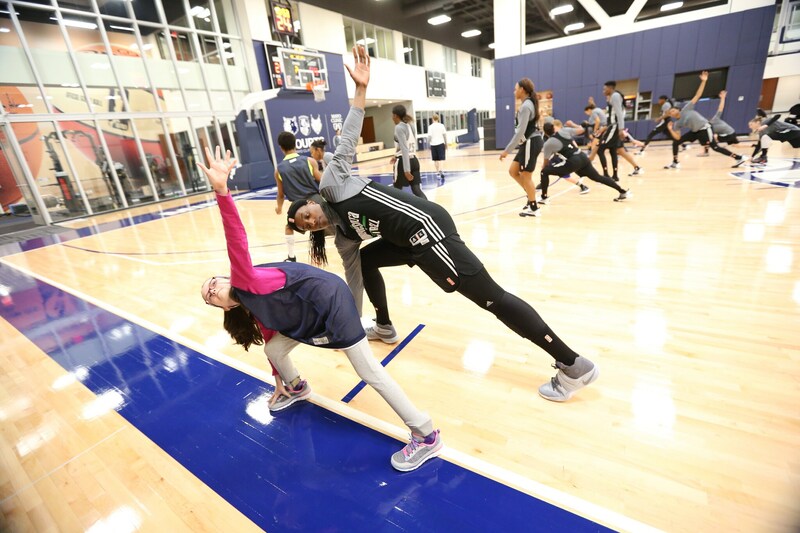 The new members of the Lynx team had one-on-one time with their mentor, took part in practice, ran through skills drills and ate lunch in the Lynx player’s lounge. The ‘Dream Team’ will also be honored on court prior to an upcoming game this season. Each new member was paired with a player of the Lynx squad as a mentor for practice and will meet with them throughout the season. The mentors included Maya Moore, Lindsay Whalen, Sylvia Fowles, Renee Montgomery and Jia Perkins. On May 1st The Minnesota Lynx signed five new honorary members to their roster, Kira Jayne Reymann (Special Olympics), Grace Rogge (Defending the Blue Line), Linae Larson (HopeKids), Taylor Lieber (University of Minnesota Masonic Children’s Hospital) and Razziya (MN ADOPT), creating the first ever Minnesota Lynx ‘Dream Team’. Education and fostering the love of reading are an integral part of the FastBreak Foundation's efforts in the community. Throughout the season, the Lynx work hard to put books in the hands of Minnesota children and offer incentives to keep reading. The Book Mobile offers students an incentive to read by giving them a chance to pick out their very own book to keep, allowing them to read at school and at home. Students also receive fun prizes and get their new book signed by Prowl. On May 29th Minnesota Lynx players Sylvia Fowles and Natasha Howard along with Lynx Mascot Prowl brought the FastBreak Foundation Book Mobile to Banyan Community in Minneapolis where they helped 75 students pick out books from the mobile library. The Minnesota Lynx Foundation is proud to supports breast cancer research and support programs in the state of Minnesota. On June 24th Minnesota Lynx Director of Business Operations, Carley Knox, presented a $5,000 grant to Dr. Douglas Raush, MD and Dr. Richard Zera, MS, MD, PHD of the Hennepin Health Foundation which supports Hennepin County Medical Center. HCMC’s comprehensive cancer center works with the insured, uninsured and underinsured, including patients who live in local shelters as most HCMC patients are living in poverty prior to diagnosis. To lessen the burden, the center offers patients financial assistance during treatment for breast cancer. 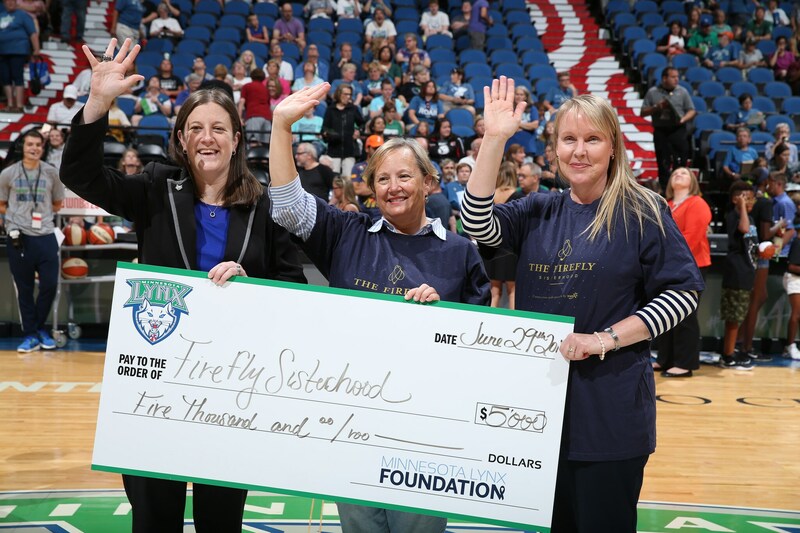 During Wednesday night’s game Minnesota Lynx Director of Business Operations, Carley Knox proudly presented a $5,000 Minnesota Lynx Foundation grant to the Firefly Sisterhood representatives Kris Newcomer and Jennifer O’Quinn. The Firefly Sisterhood fosters one-to-one connections between women recently diagnosed with breast cancer and inspirational survivors. They currently serve women in the 10 county metro area and give them someone to lean on for support, guidance and hope. Funding will be used to expand the service to the 21 county metro area and will help increase capacity in order to double the number of women served to 300. The Minnesota Lynx Foundation is proud to supports breast cancer research and support programs in the state of Minnesota.